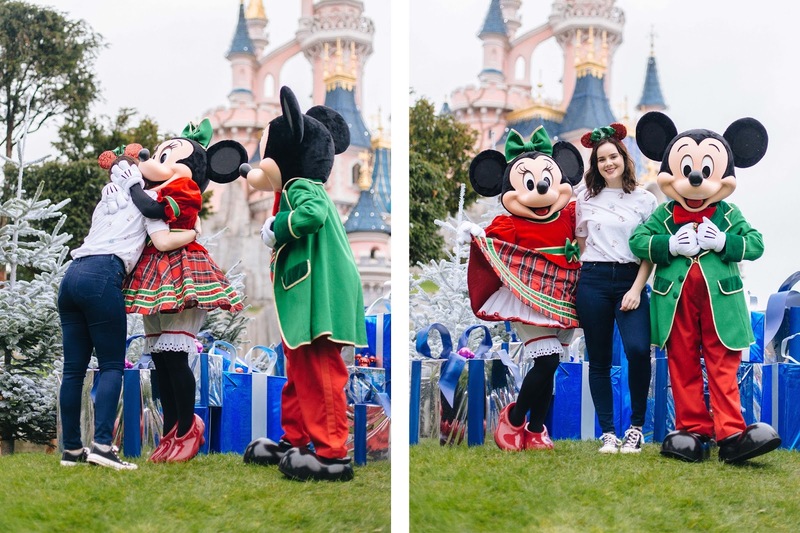 Last weekend I went on the trip of a lifetime with Penneys/Primark to Disneyland Paris * and to be honest, even a week later, it all still feels like a dream! When I started Penneys To Prada back in 2014, never in a million years did I think I'd be going on a trip like this with my absolute favourite brand. I feel very grateful but also very proud that all of the work I've put into this blog resulted in an opportunity like this. We had such an amazing time and I'm sure if you follow me on Instagram or Facebook you're probably sick of seeing all of the Disney pictures! 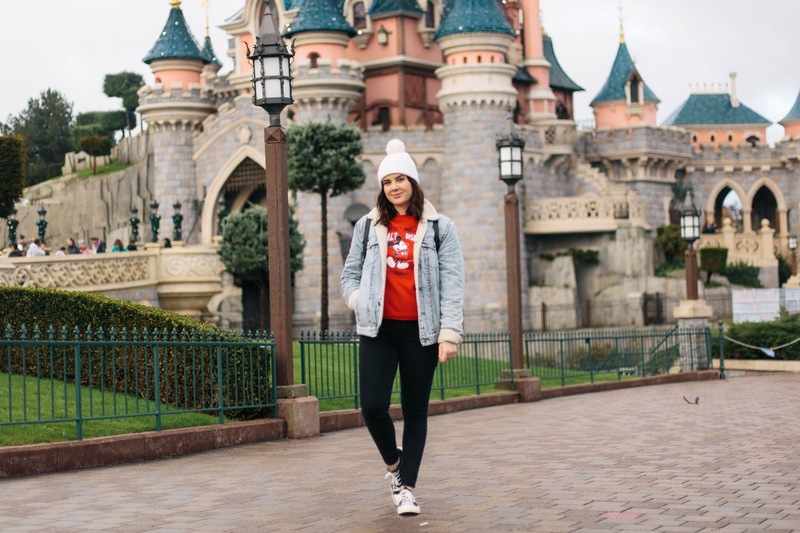 The main purpose of the trip was to launch Penneys new Disney collection (which is the cutest thing) and we were given the VIP experience of Disneyland Paris. We got to meet Mickey and Minnie Mouse on the hill right in front of the castle and we had dinner and breakfast in the Sleeping Beauty Suite where Michael Jackson would always stay during his visits to the park. It was such a surreal weekend! 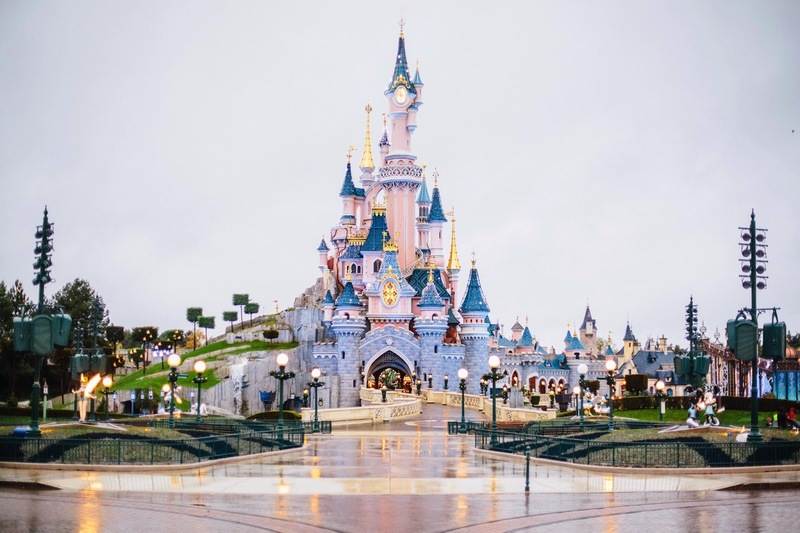 Although I've been to Walt Disney World in Florida when I was 10, I'd never been to Disneyland Paris and I am already planning my trip back there. It's so close to us and has pretty much all the main rollercoasters and attractions you could want. I actually think I preferred Disneyland Paris as it's smaller, the atmosphere is better and you don't have to walk for miles to get everywhere. Let me know if you'd like a dedicated post on some tips I have for visiting Disneyland Paris! On the trip with us was photographer, Joe Galvin. I'm sure a lot of you follow and love the blog What Olivia Did, she's been one of my biggest inspirations for blogging, and Joe is actually her fiancé! I did try to play it cool and not fan girl too much but one of the first things I said to him was "I love your girlfriend"... Joe is so talented and he got some amazing shots of the weekend, and all of the photos in this post were shot by him. Now, let's chat about the Primark X Disney collection shall we? 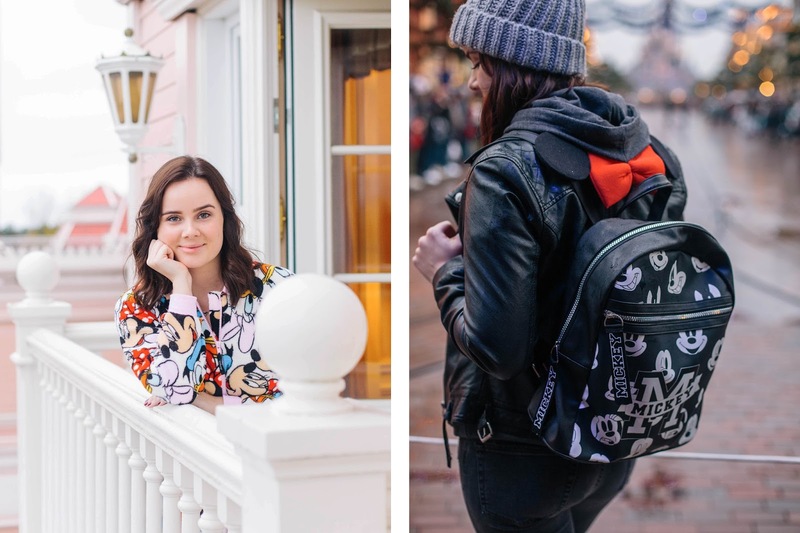 I honestly don't think there's a person in the world who doesn't have a soft spot for all things Disney, so Penneys new collection has something for everyone. 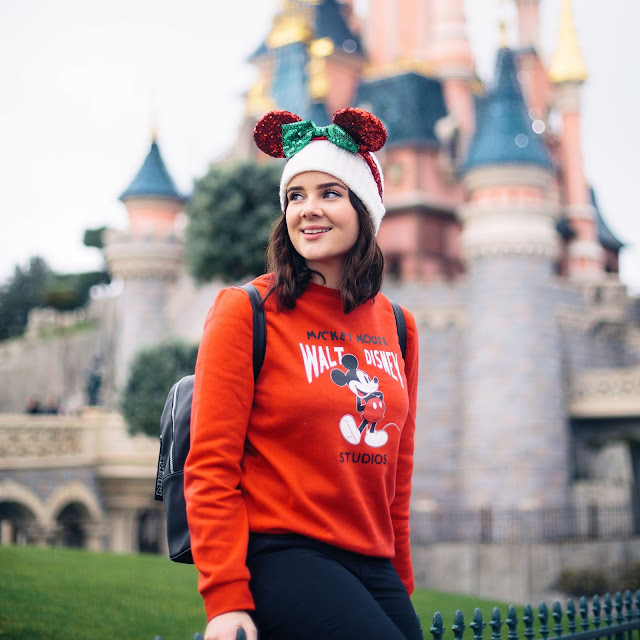 Even if you're like me and prefer a little more of a tomboy look instead of the usual girly Disney merch, there's pieces you can style, like this fab jumper (which only costs €12) that are super comfy and casual. I paired the jumper with this sherpa style denim jacket, one of my latest find in the men's section. I love wearing men's denim jackets for that oversized, boyfriend look and this one only cost €30. It also comes in a black and I think I'll have to go back and pick that one up soon. Another gorgeous piece from the Primark X Disney collection is this backpack. I had so many people asking me where it was from and they couldn't believe it was from Penneys! This was a lifesaver in the park because it can hold so much, so I was able to pack my umbrella, a spare jumper in case the rain had me too soaked, my camera and a battery pack for my phone! 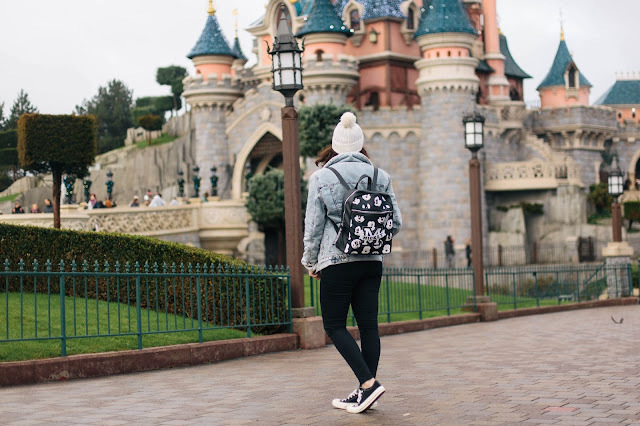 Again, since this backpack is from Penneys, it costs just €12 which is such a bargain! 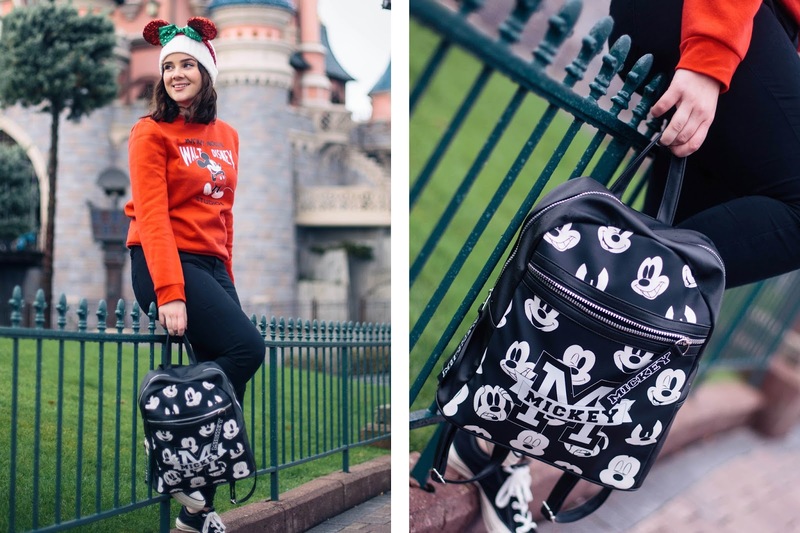 If you're planning a trip to any of the Disney parks for the future, I'd definitely recommend checking out the Primark X Disney collection and stock up because they're a fraction of the price of the pieces you'd buy in the parks. Of course you don't have to have a Disney trip planned to treat yourself to some cute Mickey Mouse tshirts, or fluffy Disney pyjamas! In fact I urge every single one of you to pick up at least one of the onesies or pyjamas sets because they are the softest things! The onesie I'm wearing in the photo at the beginning of this post is from Penneys and I can't describe how soft and cosy it is. Before I end this post, I'd just like to say the biggest thank you to Stephanie from Penneys for being the loveliest PR I've ever had the pleasure of working with. Like I said at the beginning of this post, never in a million years did I think I'd have a relationship like this with my favourite brand and to work with someone as sweet as Steph makes it even better! Now, before this starts to sound like an Oscar speech, I'm going to love you and leave you. 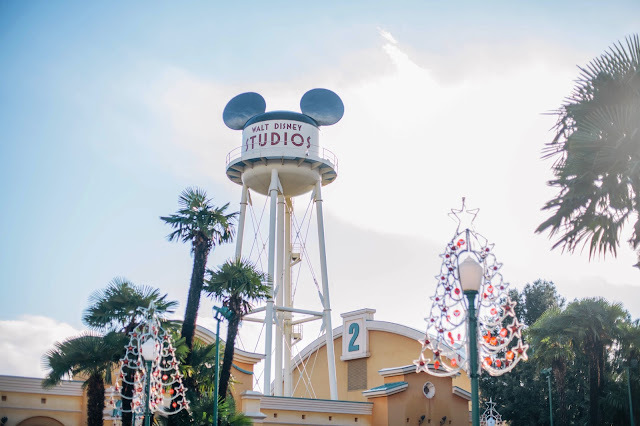 I hope you enjoyed this post and if you've got any questions about the collection, or Disneyland Paris, just pop me a message on any of my social media accounts! 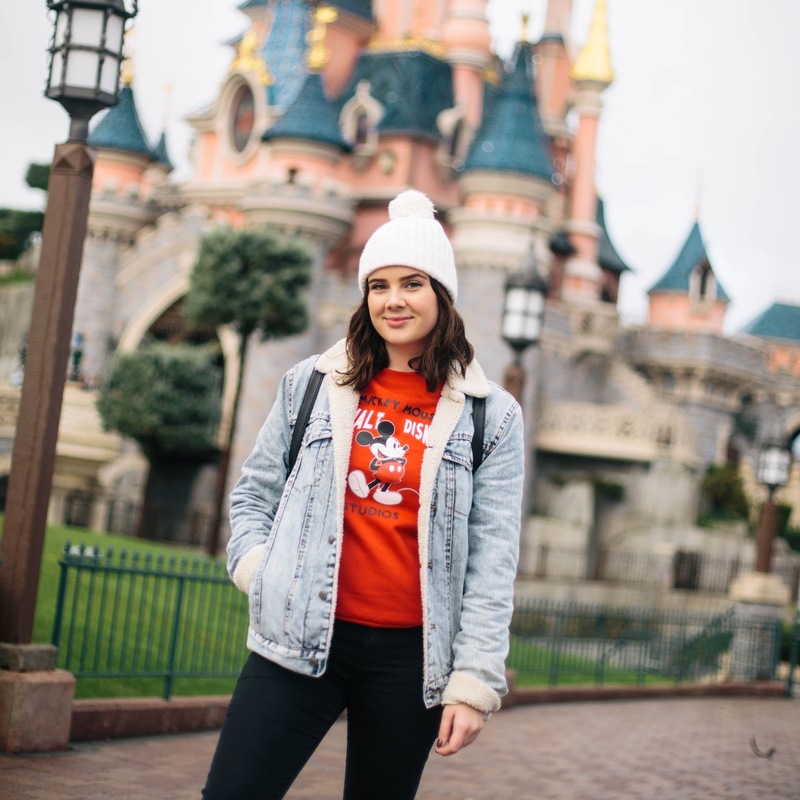 * This post is in collaboration with Primark, but is not sponsored because you know, they took me to Disneyland Paris so that's obviously payment enough!